At Google’s developer conference I/O, the search giant finally unveiled its much anticipated Google TV, an Internet-connected set-top box or TV set powered by Android and the Chrome browser, with an app marketplace open to third-party developers. It’s designed to bring Internet content to the living room (“TV meets web. 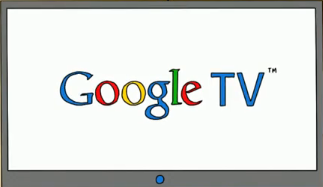 Web meets TV” is the slogan) that can be, optionally, overlayed over existing broadcast content channels. “We’re working together with Sony and Logitech to put Google TV inside of televisions, Blu-ray players and companion boxes. These devices will go on sale this fall”, says Google. I haven’t really had time to fully digest the details, but we’ve been tracking Google’s TV ambitions for a very, very long time (hint: it’s all about search and advertising). But for now, I’ll leave you with the intro video from the search giant itself, which is appropriately hosted on YouTube. 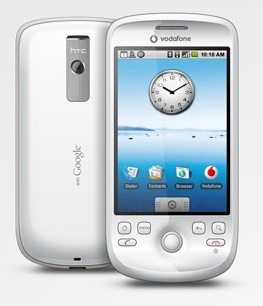 The next version of the Googe-led mobile OS – Android 2.0 – is already encroaching on the work of HTC, INQ, Palm, Motorola and others in the universal address book space, and now we learn that the search giant has an even bigger target in its sights: Satellite Navigation systems. TechCrunch has published a short video of Google showing off the upcoming Google Maps Navigation, which offers free turn-by-turn navigation, along with other features such as text search, voice search, and sat nav versions of Street View and Satellite View. The app will only be available on phones running Android 2.0 or at least that’s what Google tells TechCrunch. Update: Much more info over at the official Google Mobile blog. During the opening keynote at Nokia World, which kicked off today, CEO Olli-Pekka Kallasvuo was at pains to point out that the handset maker didn’t view Internet “services” as an interesting side business but that it was still the future of the company. And along with music, messaging and turn-by-turn navigation, location-aware social networking, which the company calls SoLo, and other types of location-based services are key to this future. After all, Nokia has invested heavily in GPS-related technologies and applications, the boldest example being the $8.1 billion purchase of Navteq in late 2007. 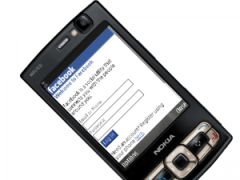 What was and still is unclear is how much of Nokia’s SoLo strategy involves building out its own social networking offerings or partnering with and supporting established social networks. With today’s announcement of a tie up with Facebook and with it the death of the company’s own ‘Friend View’, with regards to the simplest of ‘SoLo’ applications — share my current location with friends — the handset maker has seen sense and decided to do the latter. 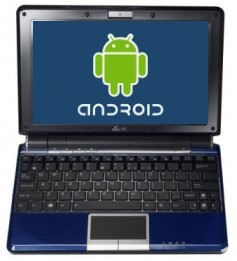 According to a flurry of reports, a number of established PC manufacturers – and new entrants – are planning to release a Netbook running Google’s Android operating system. However, recent comments made by the search giant’s CEO Eric Schmidt, suggest that Google isn’t particularly interested in seeing Android running on a Netbook – at least not yet, anyway – but is excited by the opportunities that these low-cost sub notebooks present. Not only are Netbooks sales making Google take notice, their primary use case – surfing the web and accessing other Internet applications – fits perfectly with the company’s own ‘cloud computing’ vision (think Google Docs, Gmail and other Google services). “Keep an eye on this space”, attendees at a recent Google press event were told by Schmidt. 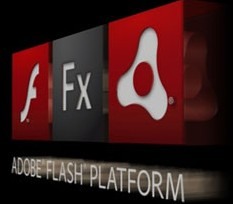 So if not Android, what exactly does the company plan to bring to the Netbook experience? If the next frontier is mobile, a key battle ground is going to be location-based services. And, drilling down further, location-based social networking, such as the ability to share your current location with friends. Yesterday, Google went head-to-head with Nokia and a plethora of startups with such an application. 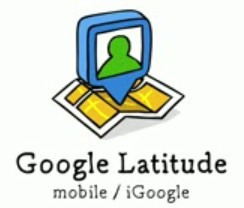 Called Latitude, the Google Map-powered software enables users to keep track of where their friends are and what they’re up to. Sort of like Twitter, IM and GPS rolled into one. If that sounds a lot like Nokia’s Friend View and, more broadly, the handset maker’s social location strategy (SoLo), that’s because it is. But there’s one significant difference: despite investing heavily in its own mobile operating system, Google Latitude has launched simultaneously on multiple mobile platforms: Blackberry, S60, Windows Mobile, and Google’s own Android. iPhone support should also arrive soon, says the company. 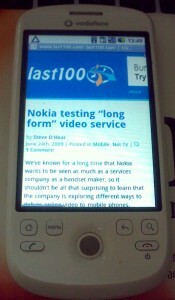 In comparison, like other Nokia web services, Friend View is only available on S60 and targeted solely at Nokia’s own cell phones.